by Ted Zeff Author · Elaine Aron Author of introduction, etc. If you're a highly sensitive person (HSP), you're in good company. HSP's make up some 20 percent of the population, individuals like you who both enjoy and wrestle with a finely tuned nervous system. You often sense things that others ignore such as strong smells, bright lights, and the crush of crowds. Even the presence of strangers in your immediate vicinity can cause you considerable distraction. You already know that this condition can be a gift, but, until you learn to master your sensitive nervous system, you might be operating in a constant state of overstimulation. 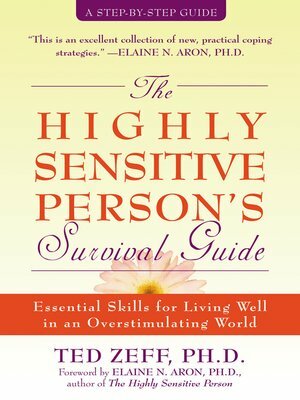 Elaine N. Aron is the author of The Highly Sensitive Person.